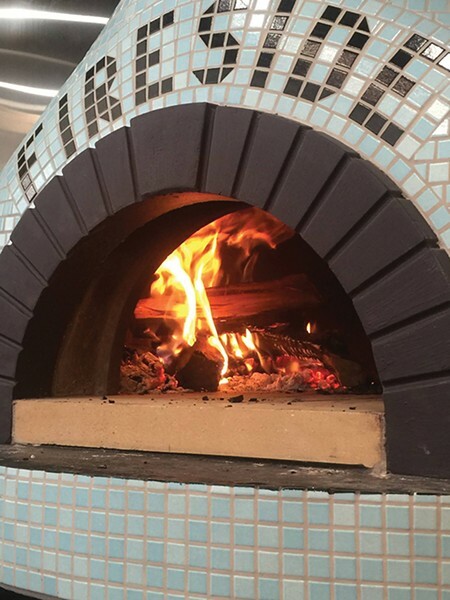 Although it just barely opened to the public, the word on the street is that Fireside on Regent (126 S. Regent St., Salt Lake City, firesideonregent.com) is destined to be a hit. Talented chefs Steven Garner and Michael Richey are behind this new downtown eatery (adjacent to the Eccles Theater), specializing in house-extruded artisan pastas, Central Italian-style wood-fire pizzas and a well-cultivated wine list. Pizza options from the imported Italian Valoriani oven include the Pink Pine (with house mozzarella, pork belly, ricotta and roasted shallots) and the Milk Run (featuring hen of the woods mushrooms, leeks, fontina, burrata, mozzarella and olive tapenade). As for pasta, I've got my eye on the gold potato gnocchi with langoustines, brown butter, cherry tomatoes, lemon, chile flakes and bread crumbs. Small plates such as arancini and fried squash blossoms are also offered, along with a quartet of salads. SlapFish, "A Modern Seafood Shack" (slapfishrestaurant.com) franchise is expanding into Utah, with a new location slated to open March 11 at 3320 N. Digital Drive in Lehi. Founded as an Orange County, Calif., food truck by chef Andrew Gruel in 2011, SlapFish is known for unique dishes like their clobster (half crab/half lobster) grilled cheese and chowder fries. I'm looking forward to getting my claws around Slapfish's Lobster Grinder! In celebration of the Southern Hemisphere's wine harvest, Fleming's Prime Steakhouse & Wine Bar (20 S. 400 West, Salt Lake City, 801-355-3704, flemingssteakhouse.com) is highlighting vineyards and flavors from New Zealand, Australia and Argentina. Chef/partner Jeremiah Hester's meat options include New Zealand rack of lamb paired with (optional) Yalumba Barossa Patchwork Shiraz from Australia; and filet mignon with Southern Hemisphere-inspired sides of mole and Cabernet butter sauces, plus chimichurri and black lava salts, with a suggested pairing of Argentina's Catena Mendoza Vista Flores Malbec. Fish lovers might opt for Ora King salmon with Cloudy Bay Sauvignon Blanc from Marlborough, New Zealand. Quote of the week: "Give a man a fish, and he'll eat for a day. Teach him how to fish, and he'll sit in a boat with a fishing pole and drink beer all day."